Inspired by Art Nouveau posters, Japanese prints, vintage seed packets, and other sources, these 55 illustrations are rendered in a collage style that ranges from dramatic to playful. One of Dover's most gifted and versatile artists, Marty Noble is the creator of over 200 Dover titles, including regular and stained glass coloring books, stickers, tattoos, stencils, CD-ROMs, and more. Marty has expertly re-created the art for most of the "Color Your Own . . . " series and originated many of our bestselling Creative Haven titles. She has a dedicated fan base of colorists who write rave reviews on the internet. Marty currently lives in Santa Barbara, California, where she is constantly inspired by her beautiful surroundings. Marty Noble is one of the first two artists to release coloring books on Dover's new Escapes line. The books are still standard size but are presented horizontally with each of the designs being horizontal as well. Ms. Noble is one of my favorite designers and this book has 55 wonderful designs in it. Some of the designs are reminiscent of those in her older books (steampunk, art nouveau, winter, etc.) but the designs are all original in their presentation. They are quite detailed and are a fun challenge for me to color. The designs run a large range of subjects and have the beautiful artwork I have come to expect from Ms. Noble. The book does not have colored samples in it (unlike Dover's Creative Haven line.) It does have some line art on the inside of both the front and back cover. The paper is cream color and is similar in feel to that of the Creative Haven line. The pages are perforated but I found them a tad more difficult to remove without tearing the pages. I think it may have to do with the width of the book being longer. After slightly tearing a couple of pages as I tried to remove them, I put a chipboard under the page and scored over the perforations with a box cutter (though a knife or scissor would have worked as well.) Once I did that, I could easily remove the page from the book without tearing it. For my first project which is a wine collage, I used Marco Raffine coloring pencils which I was testing as well. For my second project which features fuchsias, I used my Prismacolor Premier Soft Core pencils along with a skin tone marker. 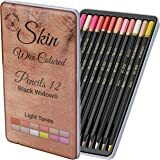 I also tested a number of other coloring pencils, markers, and pens as well. Coloring pencils worked well with this paper. I found that wax-based pencils blended with a deeper color but oil-based pencils provided a deeper coverage with less effort. Hard lead pencils left dents on the back of the page. While I removed my pages from the book to color, if you plan on coloring the pages while they are still in the book, you should consider using a blotter page behind your working page. That will help stop ink and dents from marring the page below. 4.0 out of 5 starsSomething for everyone! 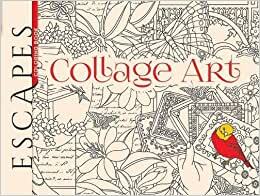 Escapes coloring book "Collage Art" is a collection of 55 illustrations by Marty Noble that were inspired by Art Nouveau posters, Japanese prints, and vintage seed packets. They are all in a horizontal format. The pages are printed on one side which means I can use markers. The price is reasonable for what you get. The paper color is ivory and made my blue sky look a little more blue-green than I would have liked. There is no ex libris page which means that I have no first page where I can put my name. There is no listing of images, or page numbers/titles, for me to easily reference the image. There is no test page. Since the images are on only one side of the page I tend to grab my Copic markers but the ivory color of the paper altered the color. I recommend using colored pencils with greater opacity if you want your colors to be true. 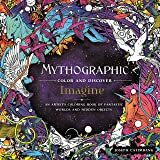 A fantastic adult coloring book to add to my collection. I have already marked off the other images I would like to work on next. 4.0 out of 5 starsGreat for someone who gets bored coloring the same thing over and over. This coloring book by Marty Noble is great for me. I love most of the pages, and I love the diversity of themes. The clean lines and well-proportioned figures make it a pleasure to color. There is a lot of room for individual creativity. The paper is thin but of good quality and takes color well. I used Prismacolor pencils on my pages. There are no filler pages with repeating designs, which I really appreciate. I get bored if I am coloring the same thing over and over. Some of the images are reused; for example, the same butterfly might be copy/pasted on the page a couple of times, which is a little annoying, but it's the only flaw I found in the images. 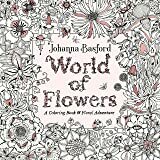 Wonderful coloring book. Nice mix of subject matter so you don't feel like you are coloring the same thing over and over. Pictures are one sided on creamy colored paper. Only thing that would have been nicer would have been if the paper were a heavier weight. It is fairly light weight and requires a backer between the pages is you want to use marker to avoid bleed thru. I have used mostly colored pencils though I have combined the use of some gel pens and regular markers as well. Would still recommend this book based on the drawings alone. Pages are perforated for easy removal as well. 5.0 out of 5 starsRefreshingly unique! Marty Noble is one of my favorite coloring book artists. I have a large collection of her books. 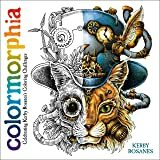 This one is refreshingly unique to most adult coloring books on the market. It still has the illustrastions on only one-side of the paper...which is a nice weight cream color. It has perforated pages and is clearly printed. The title says is all...it's a great collection of collage images. I cannot wait to start coloring in this really beautiful book.